Preheat oven to 325°F. Pour cereal into a large bowl. In a medium microwave-safe bowl. whisk together pumpkin puree, coconut oil, pumpkin pie spice, and honey. Microwave on high just until bubbling, about 2 1/2 minutes. 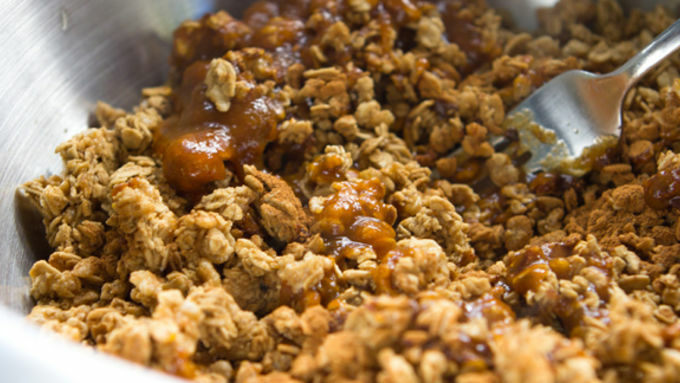 Drizzle honey mixture over the granola. Stir to coat. Turn the cereal out on a large baking pan lined with parchment paper. Bake in oven for 15-25 minutes, stirring frequently, until golden and toasted. Remove and allow granola to dry in the air until hardened. Add pumpkin seeds and dried berries and mix thoroughly. 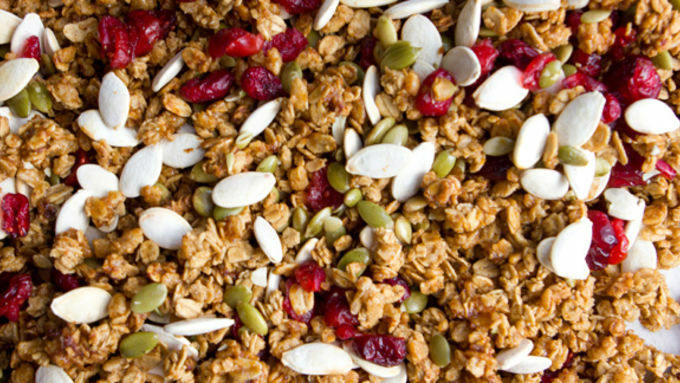 This simple recipe makes a whole batch of Pumpkin Spice Granola! If you're of the pumpkin spice persuasion, you're about ready to discover the mother of all breakfasts. 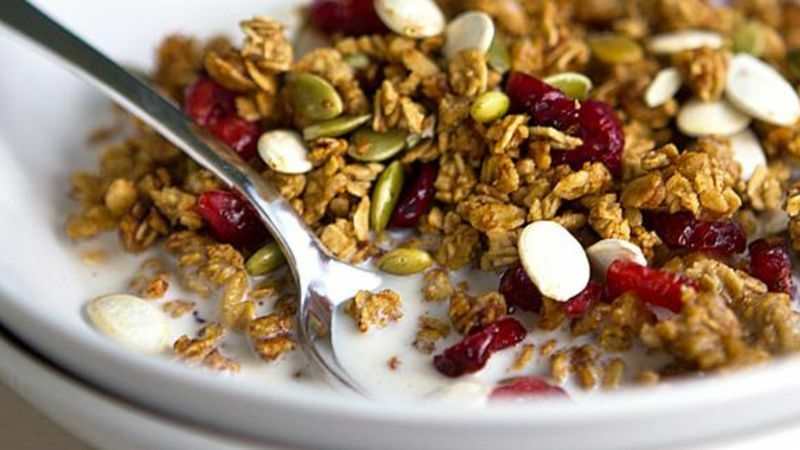 This easy recipe takes a box of Cascadian Farm™ granola and turns it into a gourmet breakfast treat inspired by pumpkin spice and everything nice. Grab a bowl, a wooden spoon, and a handful of happiness. Because you're about to have a batch in your own kitchen in a matter of minutes.